J.D. Martinez went down swinging in the third but delivered a two-run single in the eighth. Red Sox slugger J.D. Martinez reached the 100-RBI mark Friday night, in the team’s 117th game of the season, against the Orioles in Baltimore. 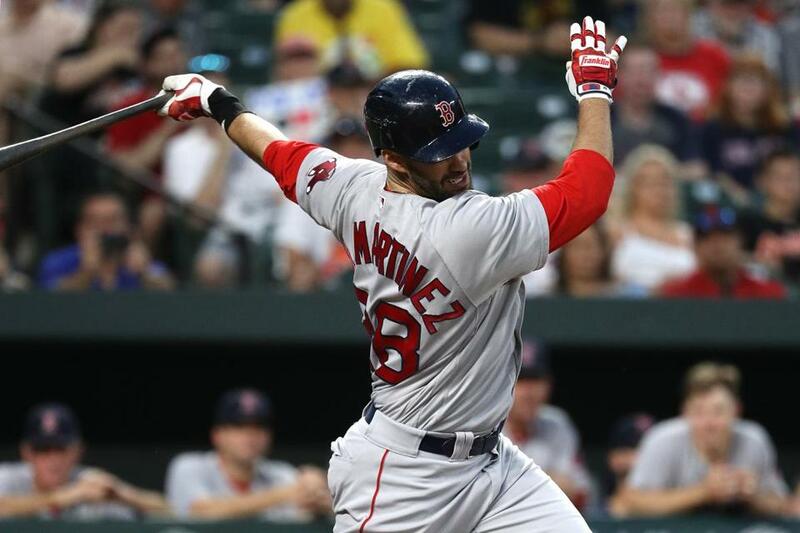 Martinez hit the milestone in the eighth inning, singling to left to drive in two runs, the Red Sox’ 18th and 19th of their 19-12 win. He is the first player in the majors to reach the century mark this season. Going into Friday’s action, no other player had even 90. Khris Davis of the Athletics was second in the American League with 88, and Javier Baez of the Cubs led the National League, also with 88. This marks the third time in his career Martinez has reached 100 RBIs. He drove in 102 (in 158 games) for the Tigers in 2015, and last year he had 104 RBIs in 119 games between the Tigers and Diamondbacks. Mookie Betts led the Red Sox in RBIs last season with 102.